Watchbands.co.uk is official dealer of replacemant watch bands by Maurice Lacroix. 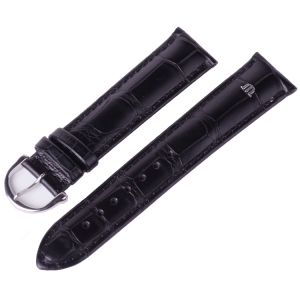 The watchbands in this category are made by Maurice Lacroix and fit Maurice Lacroix watches. 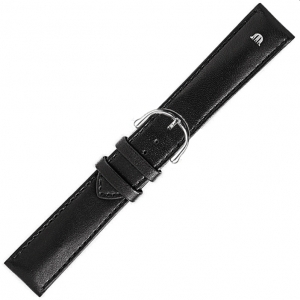 Most of these watches are branded with the iconic Maurice Lacroix "M" logo, in steel or gold coloured steel. We supply watch bands that are made for, or fit most Maurice Lacroix watches. 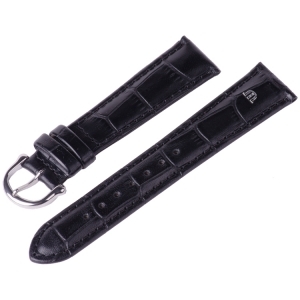 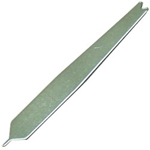 If you are not sure what size watch strap you need, please consult our page "What Size do I Need?". 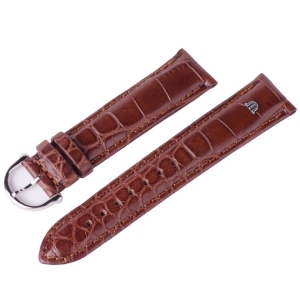 Original replacement watchbands for Maurice Lacroix watches. A Maurice Lacroix watch strap made of buffalo calf skin, featuring the typical buffalo grain and white stitching, with the Maurice Lacroix "M" logo. 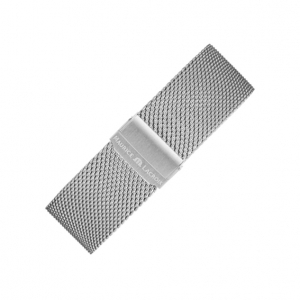 A Maurice Lacroix watch strap made of delicately woven steel (mesh) with "easychange" pushpins for changing the strap easily and without tools.